Pengo is excited to announce that show pricing from IFCEE 2018 has been extended through May 31st! 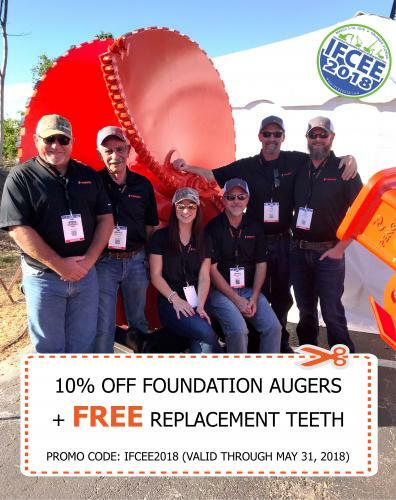 This includes 10% off any foundation auger PLUS free replacement teeth. We also want to thank everyone who visited the Pengo booth at IFCEE. It was a great show, and we truly enjoyed meeting and seeing everyone!